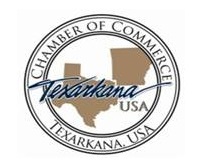 Texarkana, USA (August 22, 2018): The Texarkana USA Chamber of Commerce will hold a Business After Hours this Thursday, August 23, at Red River Lumber/The Design Center- 101 Forest Lake Dr, Texarkana, TX. The Business After Hours will be from 4:30 – 6:30 pm. Join us for food, drinks, networking and door prizes!